Perhaps the biggest storyline heading into Saturday’s “UFC on FOX 4” event is the controversy surrounding a certain Glover Teixeira. Did Mauricio “Shogun” Rua actually say he’d rather be cut than fight the up-and-comer, as UFC president Dana White claimed he did? Shogun later admitted that he declined the scrap. However, it wasn’t because he was scared of Teixeira, but because Teixeira’s UFC résumé was a tad light. 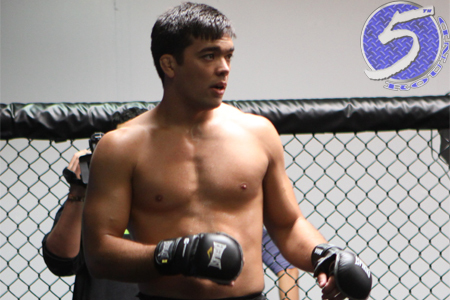 We caught up with Lyoto Machida (Pictured) and asked him if he would have turned down a bout against Teixeira if he were in Shogun’s shoes. Machida and Teixeira are buddies and have trained together in the past, so a future tango between the two is out of the question. “The Dragon” also revealed that Steven Seagal did not enter his training camp this time around. We asked him why he thinks mixed martial arts fans don’t take Sensei Seagal seriously. Machida battles Ryan Bader this Saturday inside Staples Center in Los Angeles. The former light heavyweight champion can earn another shot at the crown if he posts the most impressive performance of the night.